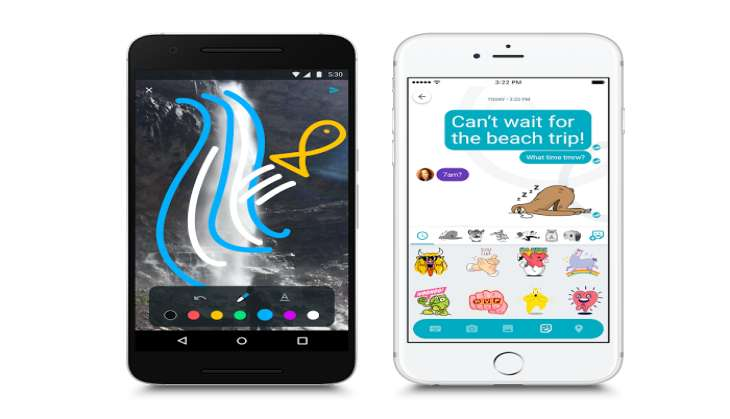 Google has finally lifted the lid on its much-anticipated messaging and video chat apps. For the uninitiated, Google has launched - Allo and Duo - messaging and video chat apps, respectively. While Duo was launched a month ago, the Allo has finally been unveiled. With Allo, you will be able to use the Google Assistant, the company's more conversational version of Google Now for the first time ever. The question here is - why would Google launch another chat app when it already has Hangouts? Google says Allo is for consumers while Hangouts is for enterprises. Well, it's good to have choices. Who's complaining? Google is calling Allo a "smart messaging app" because it learns from your conversations and suggests things for you to say. Wow! So, basically, Google integrates Google search with many of the fun features that people have become accustomed to. There's group chatting, stickers and the option to let messages expire. And if you are wondering about its ability to make calls and video chats, meet Google Duo, its special video calling app that was launched last month. Google Allo can help you make plans, find information and express yourself better on chat. And the more you use it, the more it improves. Have you ever wanted to shout and scream on WhatsApp but didn't know how? Allo has the ability to make text appear bigger or smaller when you press and hold the send button and then drag up or down. Shout or speak softly! Allo also boasts of an impressive Smart Reply feature. In a blogpost, Google said: "Google Allo makes it easier for you to respond quickly and keep the conversation going, even when you're on the go. With Smart Reply, you can respond to messages with just a tap, so you can send a quick "yup" in response to a friend asking "Are you on your way?" Smart Reply will also suggest responses for photos. If your friend sends you a photo of their pet, you might see Smart Reply suggestions like "aww cute!" And whether you're a "haha" or ":D" kind of person, Smart Reply will improve over time and adjust to your style." Here's our favourite feature of the lot: The Chat in Incognito mode. "All chats in Google Allo are encrypted using industry standard technologies like Transport Layer Security (TLS). But we went a step beyond this and we created a mode within Google Allo called Incognito (h/t Chrome). When you chat in Incognito mode, messages have end-to-end encryption and additional privacy features like discreet notifications and message expiration," says Google. What's more, you can also message your friends who aren't yet using Google Allo through SMS or, for those using Android, app preview messages. Google Allo has its advantages and disadvantages by being the late-mover. It does look fun but is it productive? Have you tried Google Allo? Let us know your comments on our Facebook page.